Chiune “Sempo” Sugihara proved paperwork could be heroic. As the ranking Japanese diplomat in Lithuania, he issued thousands of visas to Jewish refugees that his government did not want issued. Throughout it all, his wife Yukiko was right there beside him. If you think this sounds like Oscar bait, you are probably more right than you know. 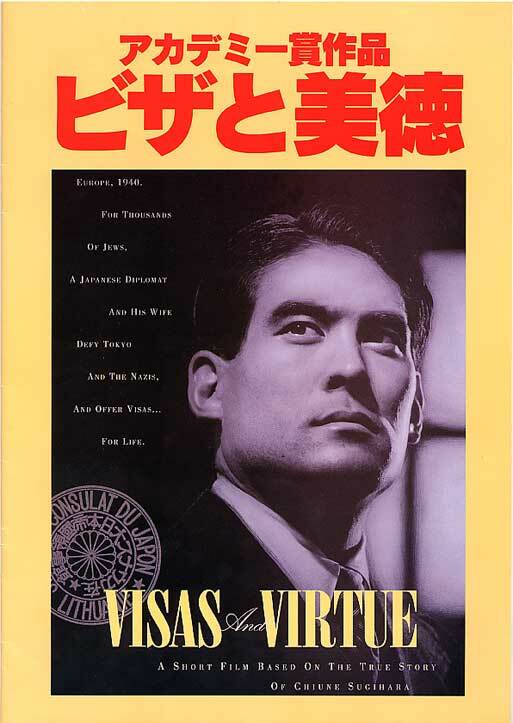 The Sugihara story was dramatized in Chris Tashima’s Academy Award winning short film Visas and Virtue (trailer here), which marks its twentieth anniversary with its streaming release today on Chopso. Sugihara’s rocky diplomatic career had a fascinating third act in Berlin, after he was summarily reassigned from Kaunas, but it is the visas that earned him a place in the Righteous Among Nations, so that is what Tashima logically focuses on. As the film opens, Sugihara’s hand is literally cramping from writing visas. He has also received another cease-and-desist cable from the foreign ministry, causing him great concern for his family’s future. Fortunately, the compassionate Yukiko is there to bolster his spirits and not so subtly coach the applicants before their interviews. 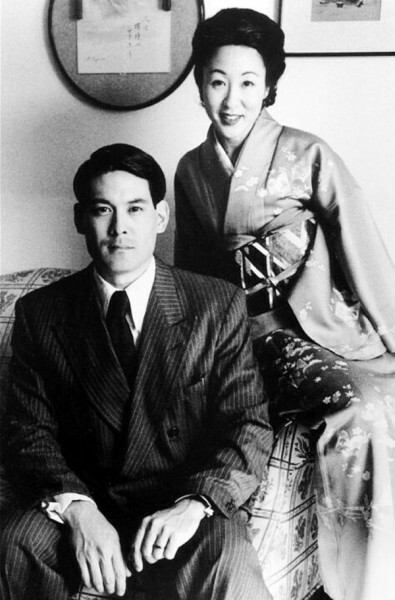 Despite his weariness, Sugihara and his wife will form an especially deep bond with Nathan and Helena Rosen, due to the particular circumstances of each couple. In fact, the encounter spurs Sugihara to redouble his efforts, writing many, many more visas for the applicants seen in montage, one of whom is portrayed by Hanni Vogelweid, a surviving Sugihara visa-holder and technical advisor on the film. It is easy to see why Virtue won the Oscar, but it is hard to understand how it did not lead to high profile feature work for Tashima, who also starred as Sugihara. Adapted by Tashima and Tom Donaldson from Tim Toyoma’s stage play, Virtue is sensitive and humane, but it never drags. Tashima and Susan Fukuda are terrific together as the Sugiharas. Hiro Narita’s mostly black-and-white cinematography is also absolutely beautiful. It is a shame nobody thought to package it with revival screenings of Schindler’s List, but its never too late. Tashima has made several short films of considerable cultural and historical significance and starred in several more. Unfortunately, distribution challenges and feature-prejudices conspire against short form cinema, preventing work like Virtue from establishing the place they deserve in our collective cinematic consciousness. If Chopso can bring more films like this to a wider audience that would be a happy development. Highly recommended, Visas and Virtue is now available on Chopso.